The late ’70s and early ’80s weren’t a good time for performance cars. 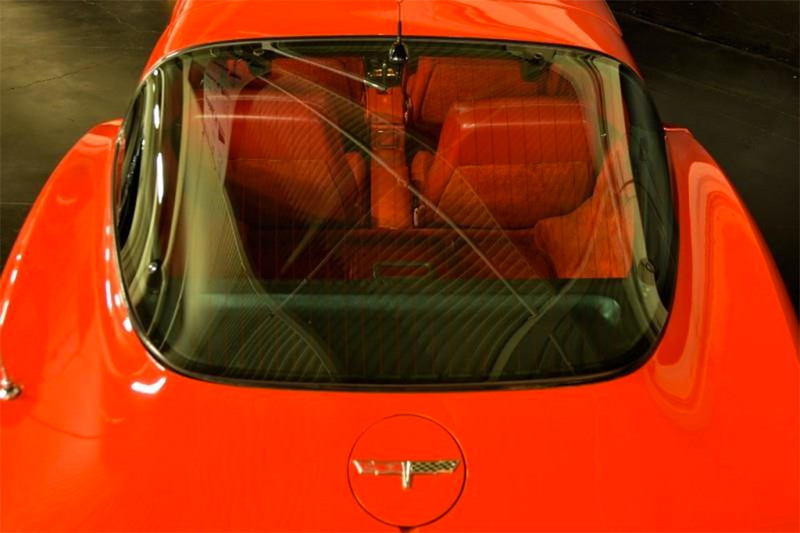 Even the legendary Corvette was rather tame aside from its wild looks with flared fenders and swoopy roof. 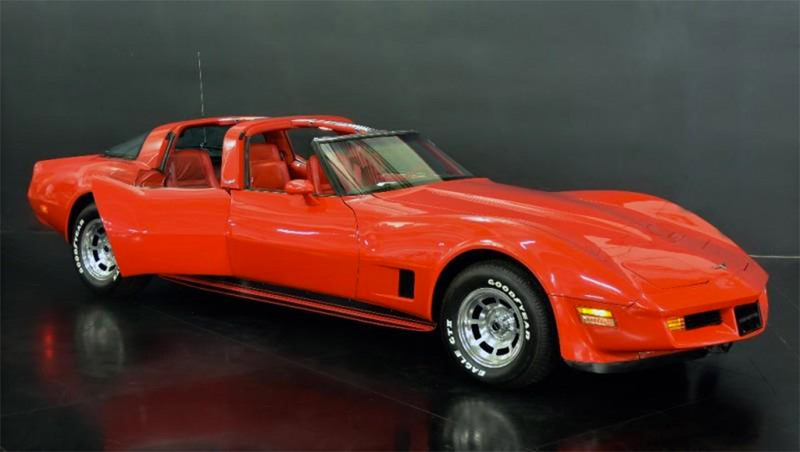 My dad owned multiple Corvettes of this era, and what I remember of them all was a cramped interior, an inability to see over the dash, and super heavy doors that a kid couldn’t close. 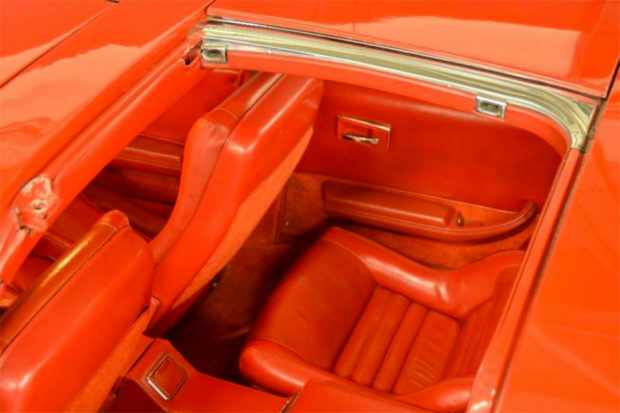 I also remember my brother having to ride everywhere lying down in the trunk area under the glass. Perhaps it wouldn’t have been so cramped if they made a 4-door version. 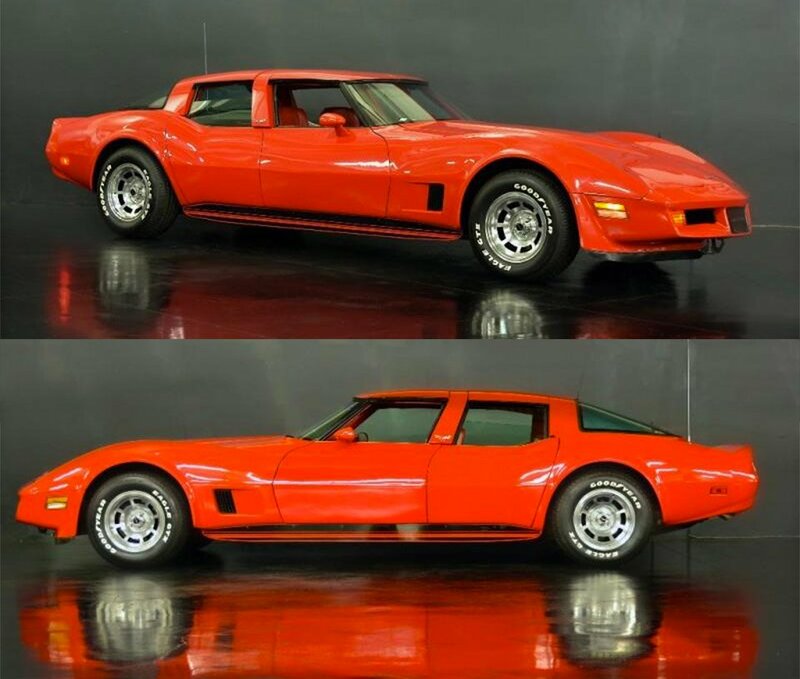 Apparently, someone at California Custom Coach was thinking the same thing, and they made a handful of Corvette sedans. The plan was to make about 20 of the cars each month, but only six were ever made. Now, one of these crazy vehicles can be yours. One of these very rare 4-door Vettes has turned up for sale at Milpitas, California’s NBS Auto Showroom. 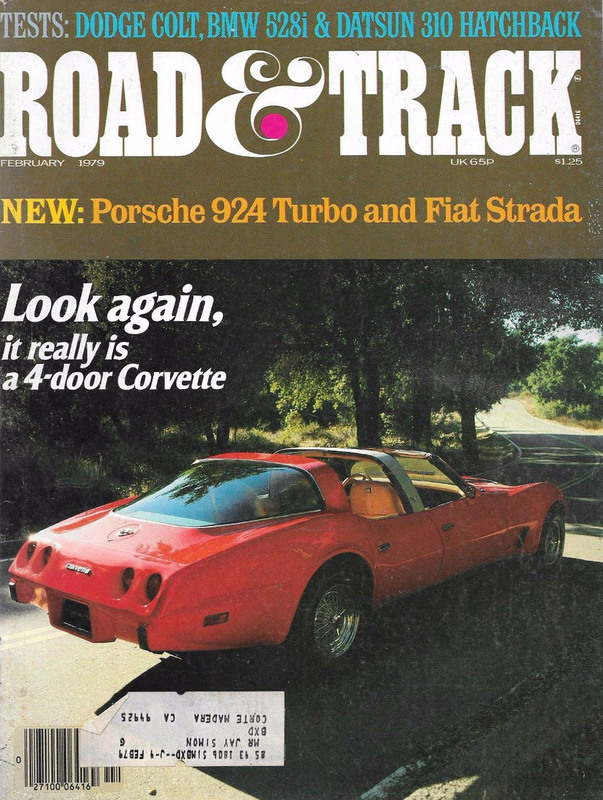 The car was even featured in the February 1979 issue of Road & Track. Apparently, the car was built by fusing parts from two Corvettes together t-tops and all, giving thieves twice as many to steal, which happened every time my dad drove his ‘Vette to Dallas back in the day. 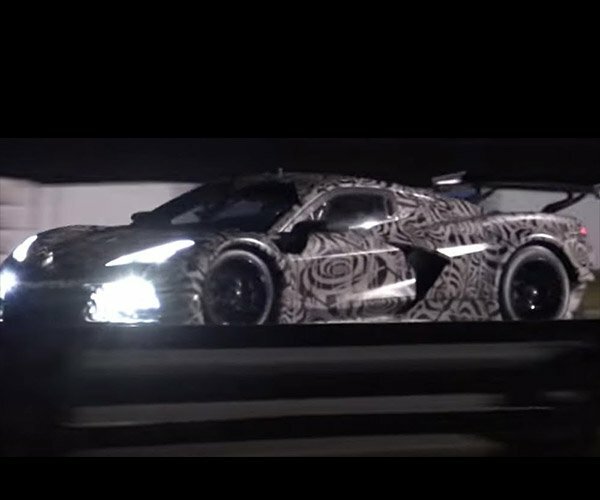 This custom Vette has 21,600 miles on it, and packs an anemic 200 hp 5.7L V8 engine and 4-speed automatic gearbox. This unique ride can be yours for the low, low price of $217,000.